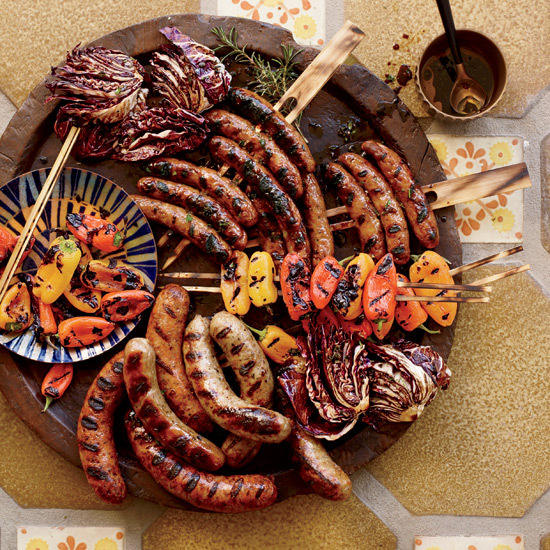 Throw sausage on the grill this summer. 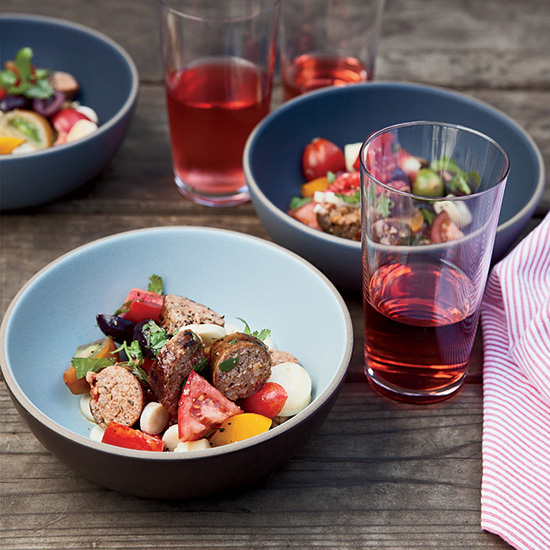 From amazing grilled hoagies to salads with juicy summer tomatoes, here are seven summery ways to use sausage. 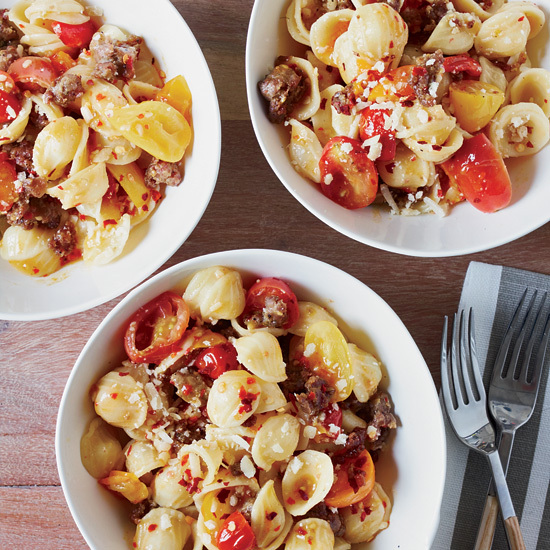 Using sausage in place of ground meat is a good sauce shortcut, because it's already seasoned. 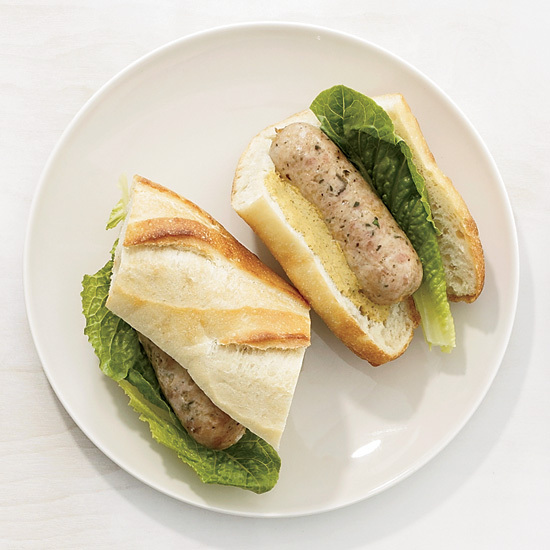 For these chicken sausages, chef Hank Shaw prefers mixing in fat from the pig's back or belly. 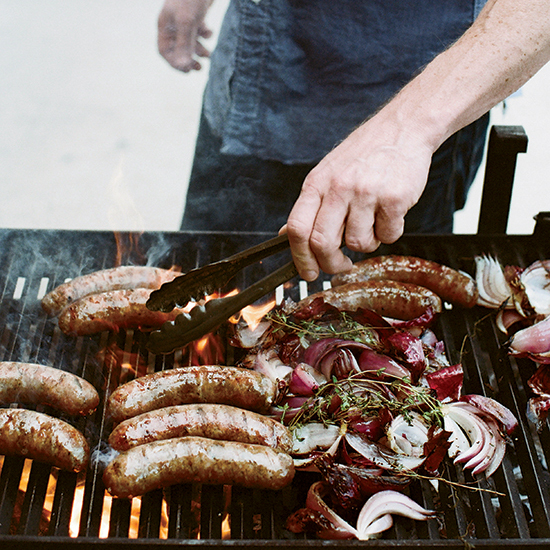 "Brats are about as Wisconsin as it gets," says restaurateur Gabriel Stulman. 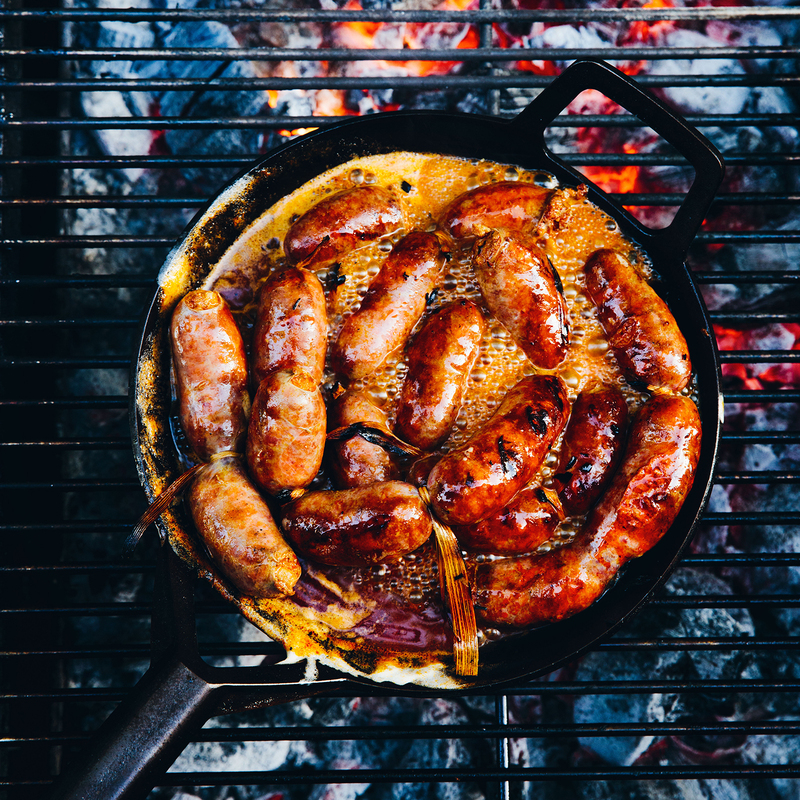 For summer, he came up with a bright, lemony parsley sauce to go with the sausages, along with the classic accompaniments of grilled onions and mustard. 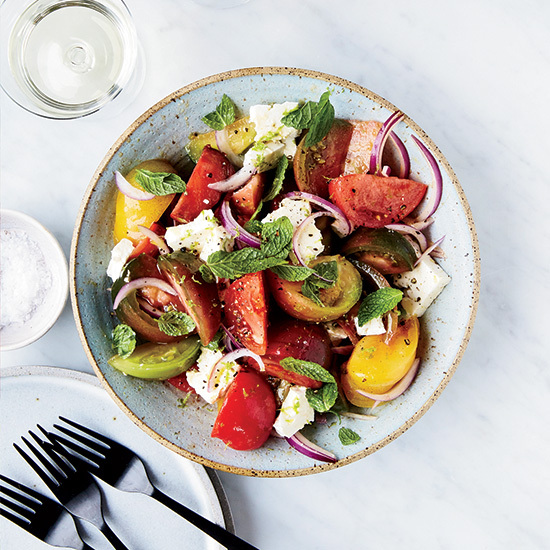 Use your best peaches for this supersimple grilled main dish. 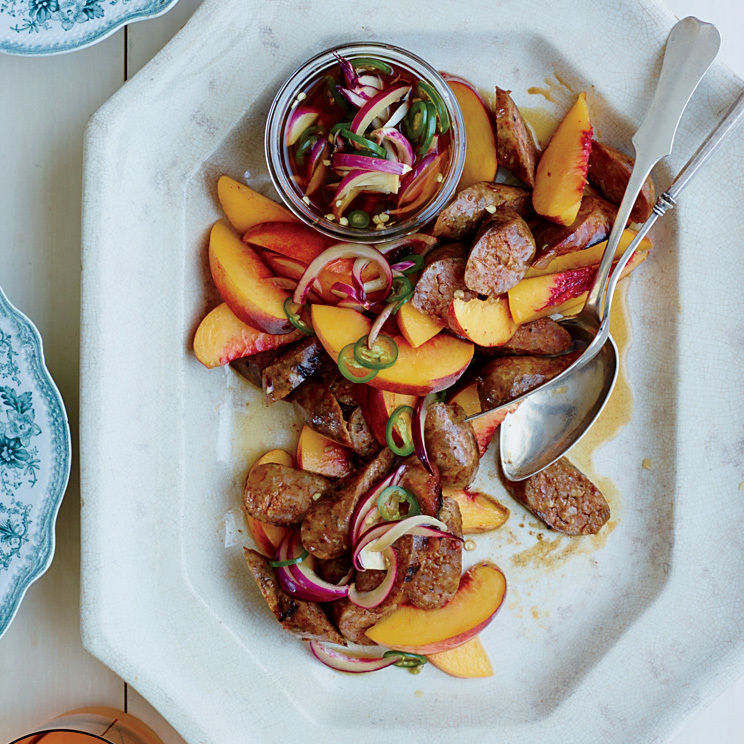 The sliced fresh peaches add a pleasantly sweet and fresh contrast to the spicy sausages and tangy pickles.